Paul provides the most outrageous justification for sin in the entire bible. Why are some Christians so upset when we question Paul’s epistles? Why do they become abusive when we demonstrate painstakingly that Paul’s doctrine is at variance with Jesus’? The reason is simple; many Christians are Christians not because of Jesus but because of Paul. Without Paul, Christianity would no longer hold any attraction for them. 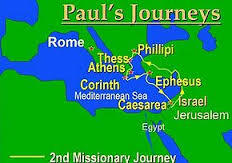 Paul’s message permits us to remain sinners as Christians. He entices us with the fallacy that: “There is none righteous, no not one.” (Romans 3:10). This provides the perfect excuse for unrighteousness by implying we cannot be righteous even if we want to be. According to Paul, righteousness is essentially a gift of God. (Romans 5:17). God tells Moses categorically: “I will not justify the wicked.” (Exodus 23:7). But Paul contradicts this by insisting God justifies sinners: “To him not working, but believing on him justifying the ungodly, his faith is counted for righteousness.” (Romans 4:5). This gives Christians the false assurance that we don’t have to be good. All that is needed is our faith and not our works. However, Jesus insists we shall be held accountable for our works: “The hour is coming in which all who are in the graves shall hear his voice, and shall come forth, those who have done good to the resurrection of life, and those who have practiced evil to the resurrection of condemnation.” (John 5:28-29). Unlike Paul, Jesus says we can be righteous. Indeed, he insists we should strive for righteousness: “Blessed are those who hunger and thirst for righteousness, for they shall be satisfied.” (Matthew 5:6). He then makes perfection our attainable goal: “Be perfect, even as your Father in heaven is perfect.” (Matthew 5:48). Paul says: “God was in Christ reconciling the world to himself, not imputing their trespasses to them.” (2 Corinthians 5:19). This is false. God is God, so he never has to reconcile himself to anything or anybody. We are the ones who have to be reconciled to God. Indeed, Jesus indicates the world will not be reconciled to God. Accordingly, he alerts us that the world will hate his disciples: “If the people of this world hate you, just remember that they hated me first. If you belonged to the world, its people would love you. But you don’t belong to the world. I have chosen you to leave the world behind, and that is why its people hate you.” (John 15:18-19). Paul’s message leads Christians into the error that, since our sins will not be imputed to us, we can remain in our trespasses without losing our salvation. However, Jesus’ message is not at all reassuring for Christians who continue in sin. Jesus maintains categorically that a sinner cannot be saved unless he repents: “If your hand causes you to sin, cut it off. It is better for you to enter into life maimed, rather than having two hands, to go to hell, into the fire that shall never be quenched.” (Mark 9:43). Paul provides the most outrageous justification for sin in the entire bible. He says when he sins, he is not the sinner. It is the sin in him that is the sinner: “What I will to do, that I do not practice; but what I hate, that I do. If, then, I do what I will not to do, I agree with the law that it is good. But now, it is no longer I who do it, but sin that dwells in me.” (Romans 7:15-17). This is analogous to a thief claiming it is the sin in him that stole a cow and not him. Well then, if the sin in him is sent to jail, will he not end up in jail as well? James quickly refutes this and warns us not to be deceived by such sophistry: “Each one is tempted when he is drawn away by his own desires and enticed. Then, when desire has conceived, it gives birth to sin; and sin, when it is full-grown, brings forth death. Do not be deceived, my beloved brethren.” (James 1:14-16). Jesus says a false prophet will promote lawlessness. (Matthew 7:15-23). This identifies Paul who says: “All things are lawful unto me, but all things are not expedient.” (1 Corinthians 6:12). Following such licentiousness, sin becomes lawful in the jaundiced theology of Paul. It only needs to be avoided as a matter of expediency. Paul says, in effect, truth is whatever we decide to make it: “Some of the Lord’s followers think one day is more important than another. Others think all days are the same. But each of you should make up your own mind.” (Romans 14:5). While Jesus berates the church in Pergamum for eating food sacrificed to idols, (Revelation 2:14); Paul gives us a hall pass: “All foods are fit to eat.” (Romans 14:20). “Happy is he who does not condemn himself in what he approves.” (Romans 14:22). Thereby, Paul gives every Christian the license to determine his or her own righteousness. Jesus, our Saviour, does not condone sin. Neither does he guarantee our salvation. Instead, he warns that: “Many are called, but few chosen.” (Matthew 20:16). Paul, on the other hand, gives us many bogus assurances of salvation: “He who has begun a good work in you will complete it.” (Philippians 1:6). “Nothing shall be able to separate us from the love of God.” (Romans 8:35-39). “There is therefore now no condemnation to those who are in Christ Jesus.” (Romans 8:1). “He who calls you is faithful, who also will do it.” (1 Thessalonians 5:24). “Our Saviour Jesus Christ has abolished death.” (2 Timothy 1:10). Therefore, if Paul’s error is exposed, we lose the very gospel that seduces us. We are then left with the reality that salvation is not attained by merely answering an altar-call and confessing the lordship of Jesus Christ, according to Paul. (Romans 10:9-10; Matthew 7:21-23). Without Paul, we are forced to address Jesus’ different and exacting gospel of salvation by works. (Matthew 21:28-31). Salvation by hating our life. (John 12:25). Salvation by denying self, carrying our cross and laying down our life. (Matthew 16:24-25). Salvation by walking a narrow road and a difficult path. (Matthew 7:13-14). Salvation by enduring to the end. (Matthew 10:22). Therefore, when we expose Paul’s error, Christians are confronted with Jeremiah’s bitter truth: “The harvest is past, the summer is ended, and we are not saved!” (Jeremiah 8:20).